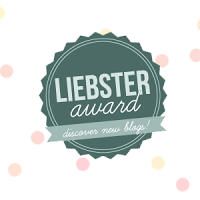 This award is given to new or up and coming bloggers who have less than 200 followers...the award is then passed along to other bloggers in the same category to help spread the word and support one another. » Each blogger should post 11 random facts about themselves. » Answer the questions the tagger has set for you, and then create 11 new questions for the bloggers you pass the award to. » Choose 11 new bloggers (with less than 200 followers) to pass the award to and link them in your post. » Go back to their page and tell them about the award. » I've always wanted a winter and summer baby. Lily is my winter baby and Sophia is my summer baby. » I must have a cup of coffee everyday. » I have one tattoo. » I love getting things via snail mail. » I am a total computer/book nerd. » I eat a bowl of cereal every night before I go to bed. » I'm madly in love with vampires. » LMN (Lifetime Movie Network) is my favorite channel. » I've cried to almost every Disney Princess movie. » I never wear nail polish but I own over 50+ colors. » My current obsession is Taylor Swift. » What is the biggest thing on your bucket list that you want to accomplish? I don't have one. » What did you want to be when you were a kid? Disney Princess, lame I know. Lol! » What is your favorite topic to blog about? I love to blog about my girls. » If you were to get married in the near future, where would your ceremony take place? If you're already married, where did your ceremony take place? I would love an outdoor wedding. » What is your favorite gemstone? Pink Sapphire. » If you given a plane ticket to anywhere in the world, where would you go & why? Florida, because I wanna go back to Disney World. » What is your favorite scent? Endless love. » What is your favorite time of year & why? Autumn, because it's the perfect temperature. » What is your favorite dessert? My moms banana pudding. » Are you a coffee, energy drink, or tea drinker? All of the above. » What is your biggest fear and why? » What is something you must have everyday? » How many pairs of shoes do you own? » If you were a super hero what powers would you have and why? » What would you do if you won the lottery? » What is your favorite holiday and why? » How often do you buy new clothes? » What would be your dream car? » What was the last book you read? » What is your favorite Disney movie? » Do you live by any motto or philosophy?